In this day and age, much has been discussed as to what it means ‘to be an Arab’. However, this enlightening volume seeks instead to invite us deeper into young Arab–Australian men’s lives as we explore their vocational aspirations and working experiences within highly racialised and hierarchical industries. Young Migrant Identities is an in-depth exploration into the lives of Arab–Australian young men living in Western Sydney with creative career aspirations. Indeed, not only does Idriss explore how these men develop interests in fields such as music, filmmaking, and design, but she also examines the multilinear routes that they take to turn these interests into vocational identities. However, in the local migrant communities in which these young men live, creative identities are seen to compromise individual and familial prospects for social mobility, and artistic interests tend to go unsupported. Thus, this book also strives to offer new insights about how notions of gender, ethnicity, and social class are experienced because of these young men’s ‘risky’ career ambitions. 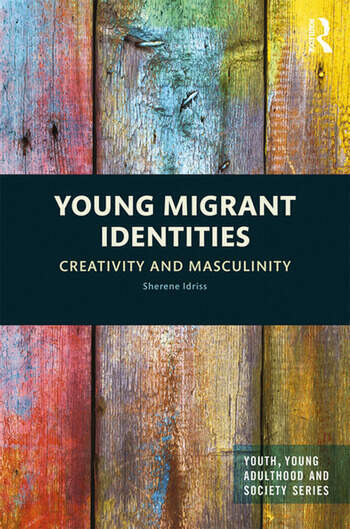 A timely volume, Young Migrant Identities draws together a range of theoretical issues and debates, engaging with sociological approaches to race and social class, creative and cultural economies, and studies on youth. It will particularly appeal to post-graduate students and post-doctoral researchers interested in fields such as Youth Studies, Ethnicity Studies, Cultural Economy, and Migration Studies. Sherene Idriss is an Adjunct Fellow at the School of Social Sciences and Psychology (Religion and Society Research Cluster), Western Sydney University.